1. iMovie crashes often and you may get "Application Unexpectedly Quit" messages. 2. If you try to import a video recorded in a special shooting mode 16:9 (wide-screen) by camcorders, the wide-screen video will get letterboxed, namely black bands above or below the video. 3. More often than not, you may experience connectivity problems when you attempt to connect a video camera to iMovie. Sometimes, iMovie will stop in the middle of importing or exporting, or you may be remained with a message stating that it can't communicate with the camera. 4. iMovie works fine after launch. Yet when it comes to drag and drop music, your iMovie 11 automatically quits and ask you if you want to restart. Later, it even goes worse and iMovie keeps crashing. You just can't smoothly add any music file for editing. 5. iMovie is compatible with only a few formats such as H.264, MPEG-2, MPEG-4, DV, AIC and HEVC, and it's incompatible with many popular formats like WMV, MTS, AVI, MKV etc. 6. Other issues like jagged title background, too-fast block title scrolling, color change due to video effects, slow speed or unsatisfactory output quality etc can also be nerve-wracking. When you look for an alternative to iMovie, there are many choices. There are Final Cut Pro, Adobe Premiere Pro, DaVinci Resolve and some more. Before switch to those expensive suites, remember the point why you use iMovie - it's free and professional. The best tool even better than iMovie should be a free video editor equipped with decent features with logic design under the hood. That's why macXvideo is on the top of this list. 5. Intel QSV, AMD, Nvidia Cuda applied in the whole 4k video editing, delivering 5x faster speed and removing overheating, or freezing problems. 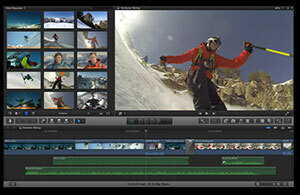 Both macXvideo and iMovie are good video editors, while they may excel in different areas. To better illustrate the differences between iMovie and macXvideo, their features are listed below. HEVC, H.264, MP4, MOV, MKV, AVI, MP3, iPhone, iPad, etc. YouTube, Vimeo, FaceBook, Email, iTunes, etc. macXvideo is immodestly the easiest alternative to iMovie. Though iMovie is suggested as the simplest video editor for Mac, beginners still need time to get started. Other editors on this list will require even more daunting editing skills. macXvideo blends the useful features into the most intuitive interface. It siginficantly decreases the efforts required to make an amazing movie. Even the most novice users can get started editing immediately. 3. "The maximum export resolution is 1080P, I can't get a 4K from iMovie". Video editing is an intensive task. 4K UHD, which has more data and is often encoded in more complex HEVC h.265, AV1 or VP9, asks for more CPU power. In other words, if you do need to edit 4K videos on iMovie, or other more advanced editors like Final Cut Pro, Adobe, your computer needs to be strong, or you will experience choppy editing or overheating. Designed for 4K videos, macXvideo can edit 4K Ultra HD videos far better and faster than iMovie. This free alternative to iMovie is the only free video editor on the market that applies the major hardware acceleration (namely Intel QSV, Nvidia Cuda/NVENC, AMD) in the whole video editing process. Compared to iMovie which only uses GPU to render the interface and other effects in editing, it accelerates the whole video editing, from decoding, encoding, compressing to editing, to 5x faster than iMovie. Meanwhile, by offloading the video process tasks to the specialized graphics processing unit (GPU), common video editing problems like freezing or overheating are removed. With iMovie, users has no control on the output size. It has been a long-term problem that iMovei projects are way big. macXvideo allows flexible control on how big you want the final project to be. There are a variety of options to freely adjust the file size freely by tweaking the video/audio settings freely, like the video codecs, resolution, sample rate, frame rate, bit rate, quality. More importantly, it has a unique compression engine, which is developed based on the characteristics of 4K ultra HD videos. Namely, it's purpose-built to reduce the huge file size and keep the sharpness. It has been proved to offer 90% size reduction with 98% original quality. Not all the videos can be accepted by iMovie, including some common formats like MKV, AVI, WMV, MTS (check full list of iMovie formats). To edit those videos on iMovie, there is an extra convert step - you need to convert the incompatible videos into iMovie formats (BTW, macXvideo also serves as a video transcoder). With 370+ video codecs, you can import any videos into macXvideo that iMovie doesn't. iMovie exports are limited to YouTube, Vimeo, FaceBook, Email, iTunes. If you want to upload projects to websites or send to friends, the options are quite useful. If you need to save iMovei projects in format you want, iMovie doesn't provide much freedom. In this respect, macXvideo also provides more choices. You can export the project to 4k hevc, mp4, mov, avi, mkv, mp3 etc for freely upload to online sites, emails, or mobiles. Final Cut Pro is next one that is similar to and even better than iMovie. Also from Apple, it is an advanced version of iMovie for mac, as it possesses almost the same but more professional features than iMovie. It comes at $300 but you will soon find it's the most advanced video editor like iMovie which is worth your try in the list. Compared with iMovie, Final Cut Pro provides a slew of new features and supports any formats supported by QuickTime, including DV, HDV, P2 MXF (DVCProHD), XDCAM (via plug-in), and 2K film formats. Adobe Premiere is a video editing software package being able to cater to demands of both amateur enthusiasts and professionals. As a video editor like iMovie, it is capable of producing standard-definition and high-definition videos. Available in Windows and Max OS X -based computers, it helps streamline production and boost productivity with its efficient cross-platform editing workflow. 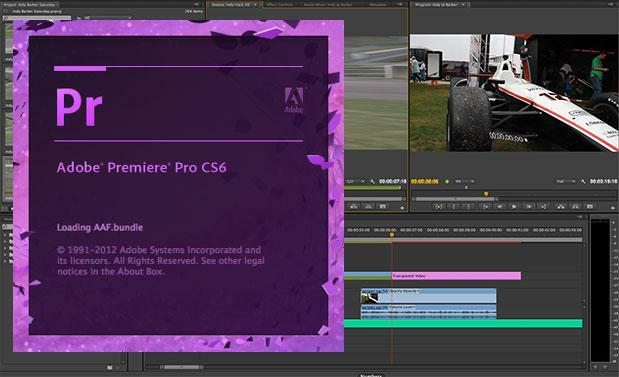 In general, Adobe Premiere Pro has a niche in the fight for the best video editing software with its fast speed and robust performance. 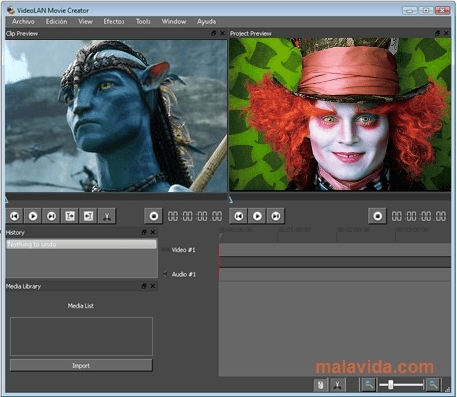 VideoLAN Movie Creator, another open-source iMovie alternative for Mac, is a non-linear video editing software based on the world's popular media player VLC and running on multi platforms including Windows, Linux and Mac OS X. Relied on a wizard-based principle, it offers extensive video editing options for users to create semi-professional quality video clips, even for the beginners who are not accustomed with any advanced video editors. In addition, web-sharing function was also an addition to adapt with the current popularity of YouTube sharing. Although not as popular as the above video editing software, it's also on the top of the list if you are looking for a free video editor with professional-level video and audio editing capabilities to deliver good fight against iMovie. 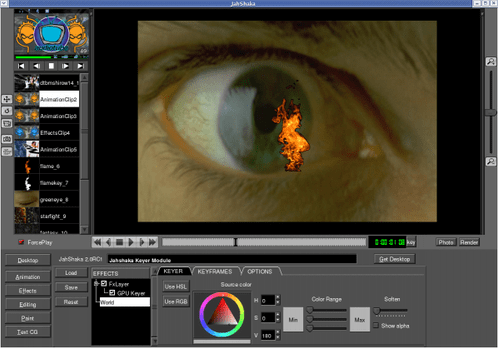 Formerly known as CineFx, it is a cross-platform (Mac, Windows and Linux), open source and free video editing software, which allows users to perform any task, based on their own computer skills. With various technical settings, this video editor may not be newbie friendly. As it is a fact today that many tasks can be easily done on mobile devices like iPhone, iPad, Android etc, things will be much easier and convenient if video editing on those devices is available. For those who are bothered by iMovie issues and seek for an alternative for iPad and other iOS devices, and for those who come along with Android devices and thus have no access to iMovie and search for iMovie replacement for Android, the following tools may help. iMovie Alternative for iPad: Reel Director($1.99), Videon($4.99), Loopste($2.99)r, Vizzywig($29.99), Cinefy(free). iMovie Alternative for Android: Vyclone(free), Lapse It($1.99), Magisto – Magical Video Editor(free), HighlightCam (both iOS and Android)(free), Animoto Video Maker(free). macXvideo is the best alternative to iMovie for 4K content. It's 100% free and safe. It Currently, it fully supports HEVC (H.265), VP9 and other modern 8K codecs conversion at up to 5x faster speed than Handbrake and other competitors thanks to Intel/AMD/Nvidia hardware acceleration. Rotate videos to the orientation you want. Must-have video editor for all Mac users. Which is the best program to edit 4K without problem? Convert videos among any formats and resolutions easily.